His Dragon, her magick, a dark mystery, and hot sparks! Kirin is summoned home to Miami when his father goes missing--the man who ruined his life, and his relationship with Elle, by being a suspect in her mother's disappearance. When he runs into Elle, sparks fly, especially when he discovers her father is missing, too. Suspecting that their disappearances are linked, they must combine his Dragon power and her magick to find the truth in the darkest shadows. But as their desires flare again, can their burning passion overcome their past—or the danger that the future holds? So I picked up this book with high hopes because I love dragons! 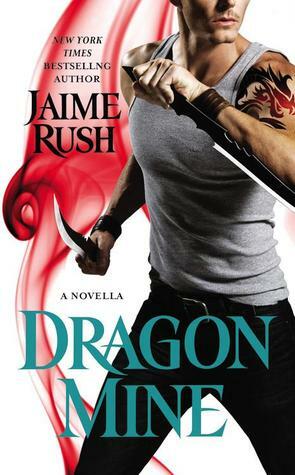 I mean what’s not to love about dragon shifters in the paranormal genre?! They are massive, scary yet beautiful, breathe fire and are seriously Alpha. So I am sad to report that this one just did not live up to my expectations. It was merely mediocre. I honestly don’t even remember all that much about it, I only read it about a week ago and I’ve already forgotten the characters names (good they are in the description) and mostly what it is about. I can’t even use the excuse that I’ve read a bunch of books since then, because I’ve only read one other book. That is how mediocre this book is. I can’t say it was bad, there was just not really anything that stuck out about it. So from what I can remember Kirin is a dragon and after Elle basically blamed his father for killing her mother she booted him from her life. Kirin left and found a job a state over, but his dragon is suffering for leaving the magick of the area. There is absolutely no proof or even any really motive for Kirin’s dad to have killed Elle’s mom so even this plot line is a bit farfetched even for paranormal. When Kirins father disappears he is called back to Miami. As it turns out Elle’s dad has disappeared too (wow what a coincidence) and there is this magickly demon thingy that is trying to kill Kirin. Then the gods get involved and it becomes a weird competition?? I’m not really sure of the point of the gods, but whatev’s I just went with it. In the middle of all of this Kirin wants his woman back, he never wanted to leave her in the first place but she is determined to keep him at a arm’s length even though I didn’t think she had much basis to be all that mad at him in the first place. Her reasoning seemed more than a little bit dumb. Kirin was a pretty decent character but I never really grew a fondness for Elle. She keeps him at an arm’s length and then does a completely abrupt 180 and suddenly all is forgiven. It was all just very eh and not very realistic. Oh and the conversation at times felt so awkward and they talked like no real person ever would. And the clichés! Oh how I hate clichés and this book definitely had them. It’s not likely I will continue with this series. I probably won’t even remember this book much past the posting of this review to even look for book 2. *This book was provided through NetGalley for an honest review. No other compensation was provided.